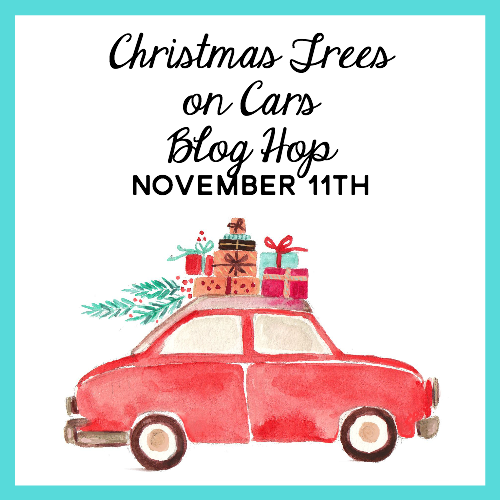 Hello and welcome to our little Christmas Trees on Cars Blog Hop! I’ve been looking forward to this all year long. My friend Mary Beth from Cupcakes and Crinoline thought of this idea and now it’s our 2nd year. 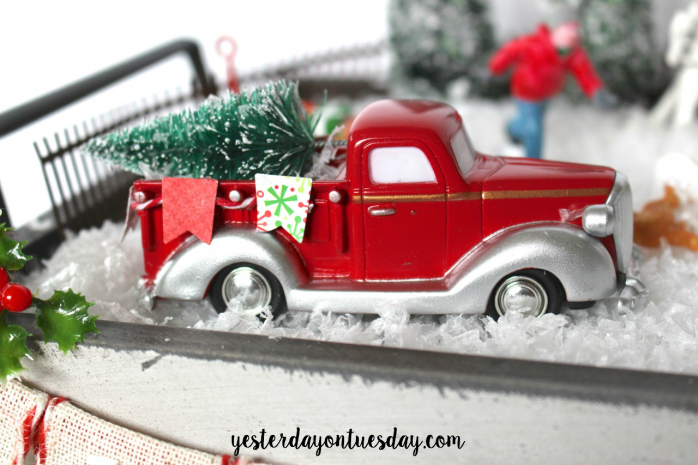 Some of my favorite blogger pals and I are each sharing a project with the “Christmas Trees on Cars” theme. 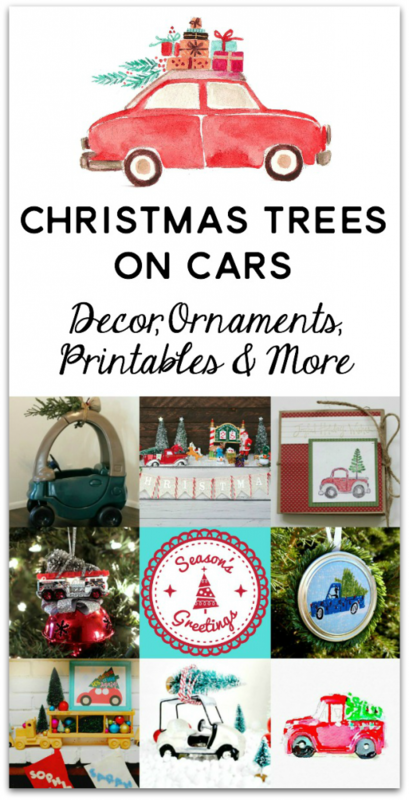 Anything goes, from printables to ornaments, decor, even a “giant” Christmas Tree on a Car. There is so much cuteness! 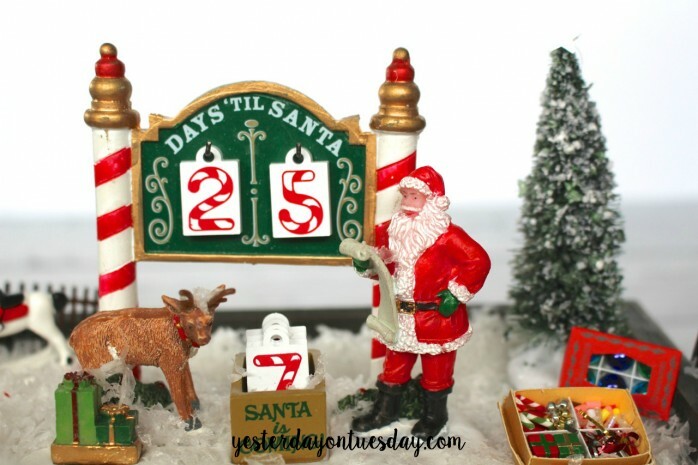 First, this Christmas Countdown Calendar. It’s mobile, so you can place it anywhere you need a little cheer! 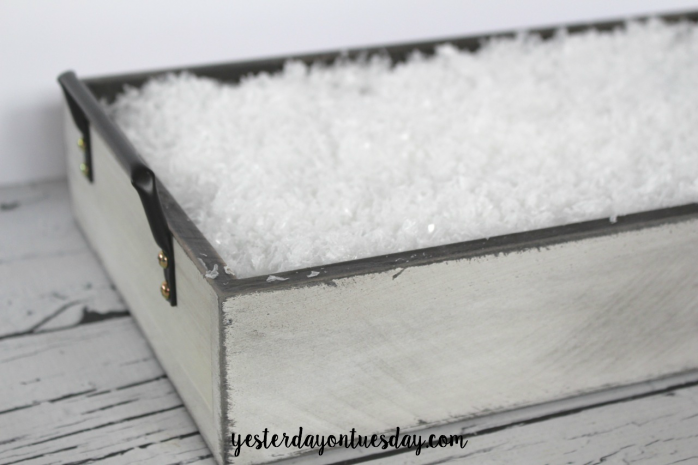 Materials: wood tray, 3 styrofoam bricks, faux snow, ribbon (with wire), twine, letter stickers, and small figures (I used a man and his dog, some Christmas trees, a truck with a Christmas tree, and a countdown calendar with Santa and a reindeer. All these goodies are from Michaels. I also used some little extra minis I already had on hand. 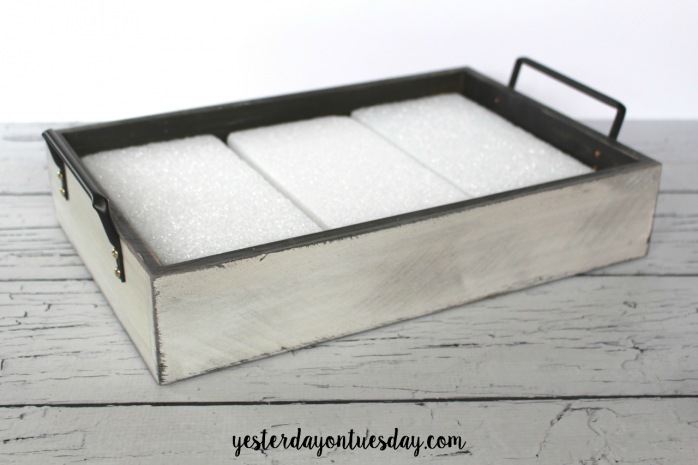 Step 1: Place the foam bricks in the tray. Step 2: Cover with snow. Step 3: Start adding the fun stuff. 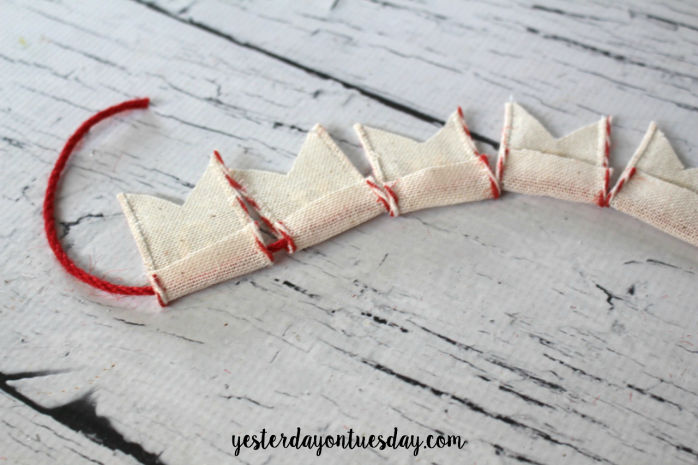 I made a mini banner to decorate the red fire truck carrying the Christmas tree. 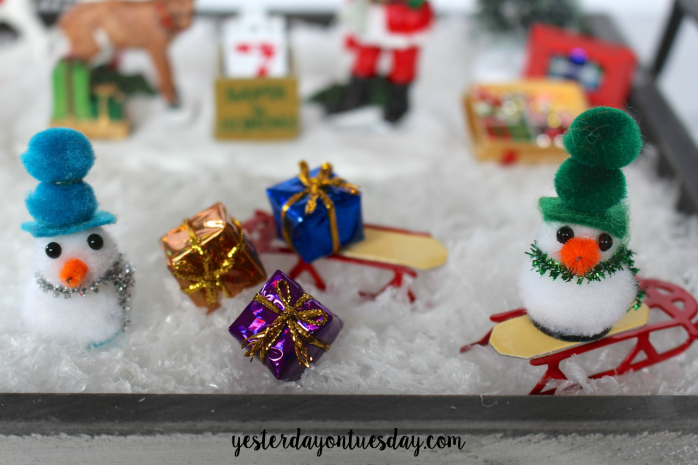 Step 4: Make little scenes like this one with snowman, sleighs and presents. This little golden retriever tickled me, since I also have a much-loved golden. 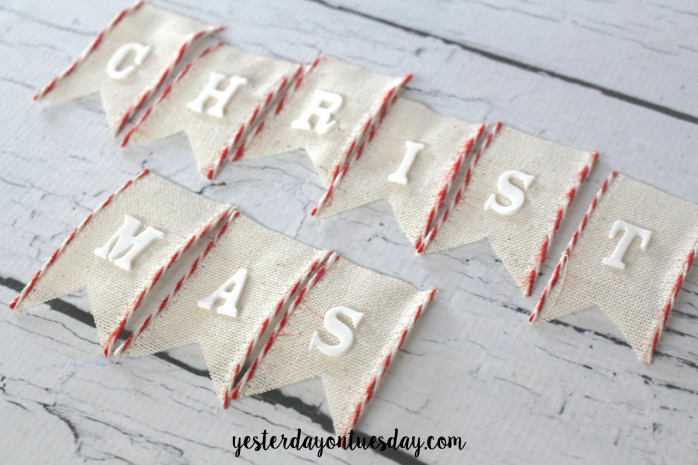 To make things even more festive, I made a little banner out of ribbon and stickers. I used my super sharp Fiskars scissors to cut nice sharp points into the ribbon. The ribbon has wire in in, so I left a margin at the top to string the pennants together. 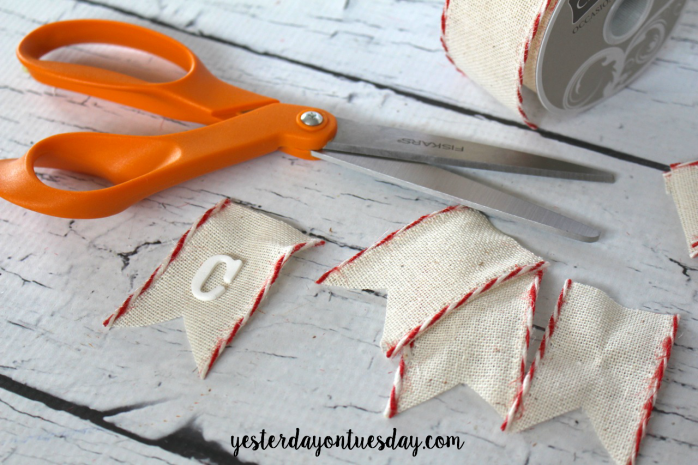 Each pennant folded right over the red twine to make a cute banner. Here it is on the tray. 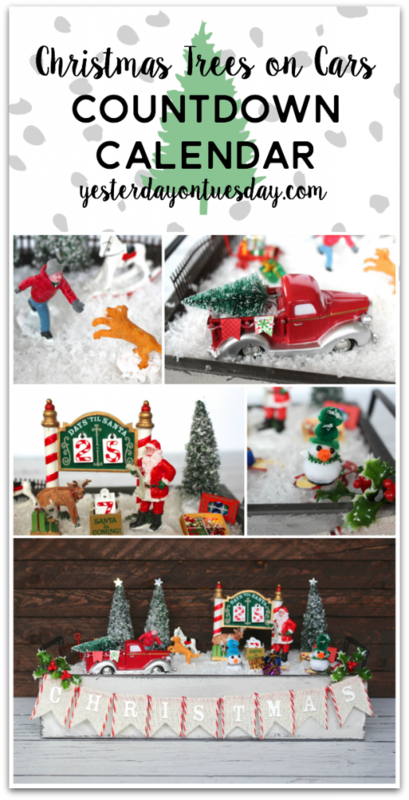 I love all the action happening here and the fact that I can easily move it from the living room to the kitchen– even the dining room… basically any place I need to add a little Christmas spirit. Plus I know the kids will have a blast changing the numbers each day. 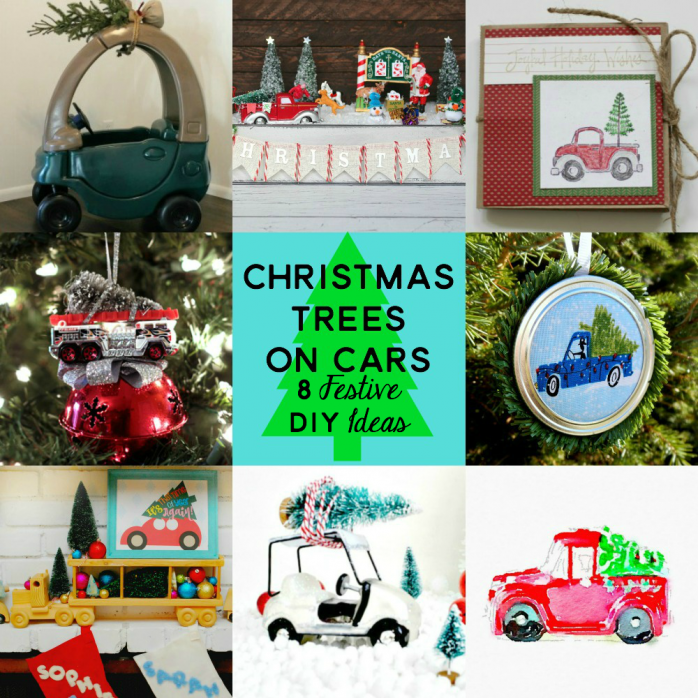 Go check out all the wonderful Christmas Trees on Cars ideas! I LOVE this Malia! You are so creative. How do you come up with these cute ideas?!!!! 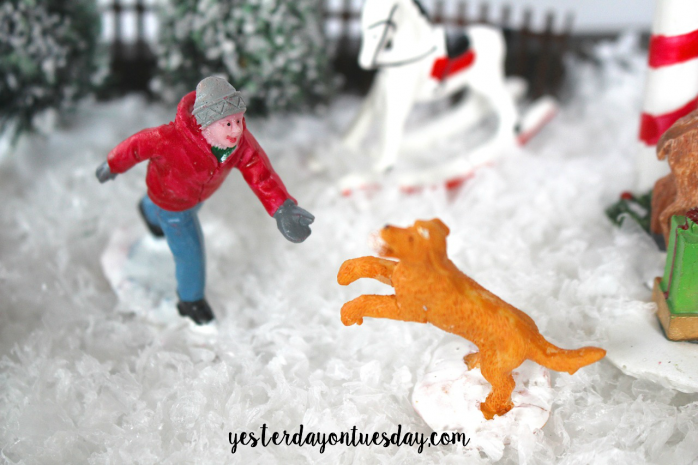 This is such a fun blog hop… so many variations on a theme. I’m so blessed to be a apart. Thank you!!!! This is absolutely darling, Malia! I love that it is an entire display on its own. Adorable! This is a gorgeous project Malia! 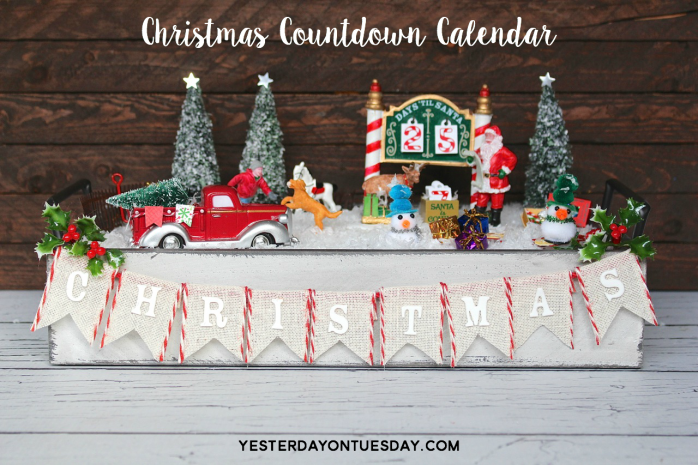 A countdown calendar is an awesome idea. Oh my! This is so much fun! 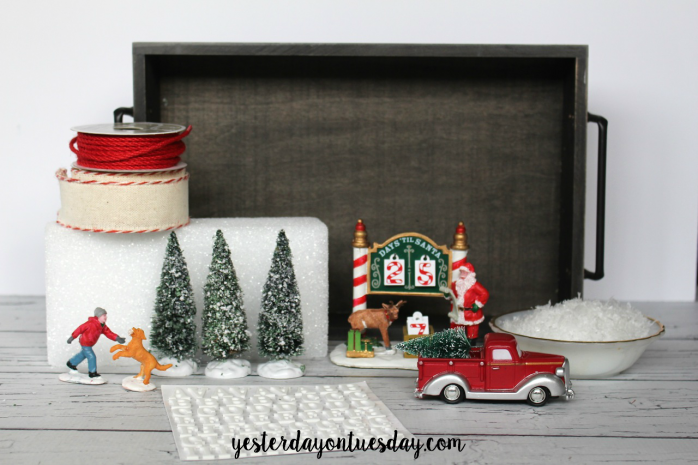 I love how you used the tray, love the cute banner, and the whole festive scene! Thank you so much, Malia for bringing us together again for Christmas Trees on Cars! 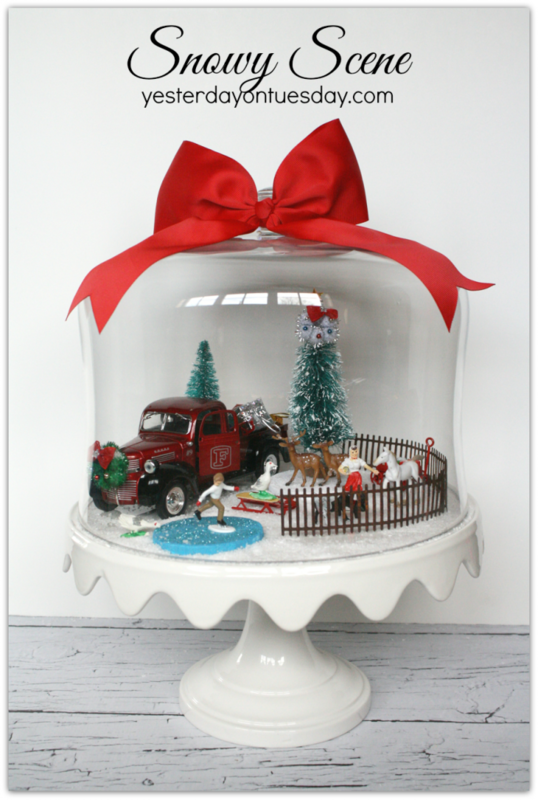 I love this so much, the versatility of being able to move it especially when I have a little one with curious hands. And I totally got the Golden retriever reference, your pup is gorgeous! !